Slice up 2 pounds of tomatoes of different colors and sizes. If you have grape tomatoes and small cherry tomatoes, you can use them whole. 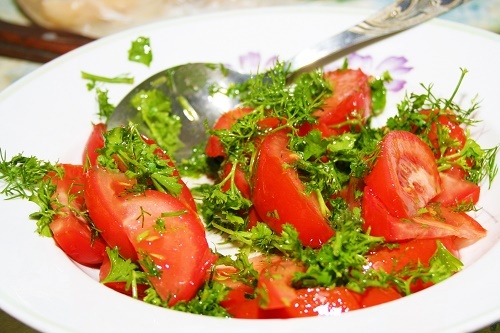 Drizzle extra-virgin olive oil and kosher salt over the tomatoes and serve. It can be hard to not feel good about life when you have a bunch of red, plump and juicy tomatoes to experiment with. With these recipes, you can explore a different recipe each day. What’s your favorite tomato recipe?